There are a few key words you need to memorize if you are in the business of making automobiles today: Crossover, Millennials, Technology. With the introduction of its 2019 XT4 crossover, Cadillac has zeroed in on all three. New York City’s hip Soho neighborhood where Cadillac has moved its headquarters is the trendy venue for the Cadillac House. I saw the new 2019 XT4 at this polished Cadillac headquarters. The compact crossover is a new segment for Cadillac designated to help them attract the next generation of luxury buyers. 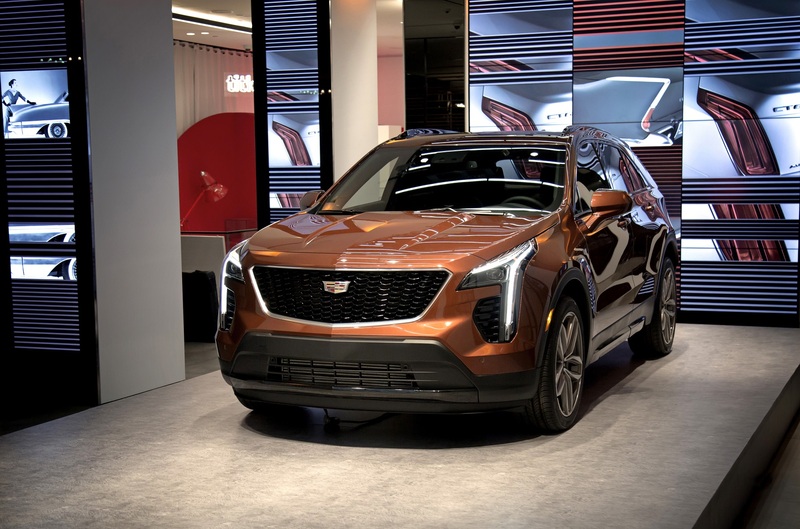 Very nicely priced at $35,740, including destination, the five-door, five-passenger XT4 arrives at dealerships in the fall of this year and can be ordered now. 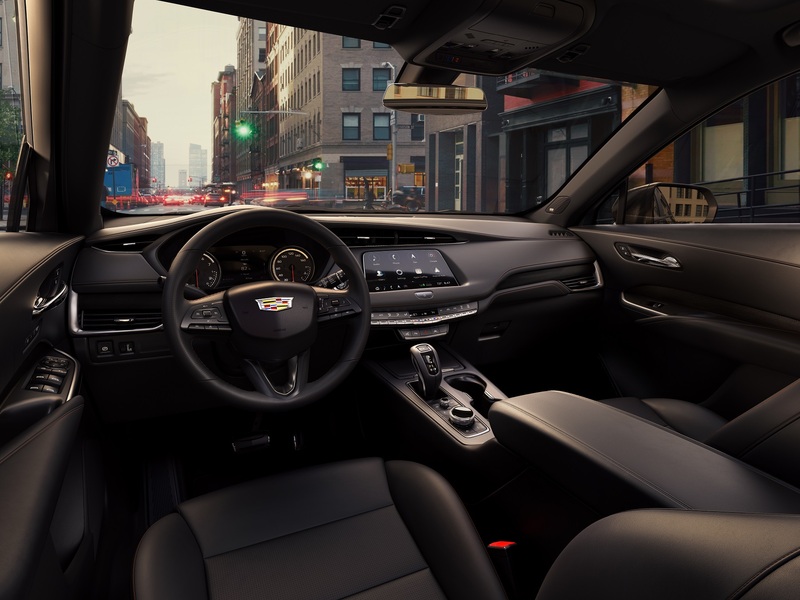 The exterior retraces Cadillac’s defining cues, but the creases are softer and, overall, the exterior has less of the previous in-your-face, I-am-Detroit feel about it. It’s a bit tamer and, dare I say, closer to the sophisticated aesthetics of Cadillac’s new home in New York. Even the LED upright taillights have a new, coy swagger. The emblem is centered on the 18-inch wheels and liftgate. Three trim lines include Premium Luxury, Luxury, and Sport, each with specific content and styling cues. Cadillac is touting the involvement of a younger design team, again nailing that new luxury buyer. Its exterior colors — blue, gray, black, white, and rust — are all metallic. 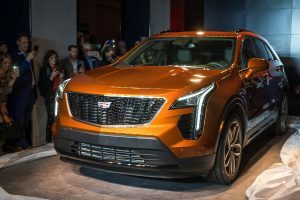 The XT4 is powered by a 237-horsepower, 2.0-liter four-cylinder turbo engine with active fuel management (cylinder deactivation), direct injection, and automatic stop/start coupled with a nine-speed automatic transmission with next-generation Electronic Precision Shift-advanced technologies that deliver a combined fuel economy of 27 mpg. The engine also has a twin-scroll turbocharger, which eliminates turbo lag. You can select your road experience with the twist of a rotary controller. 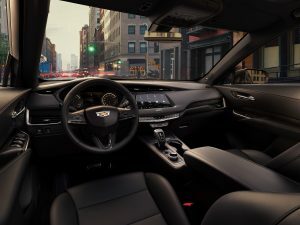 Key to any success with the new crop of buyers is connectivity and Cadillac’s includes available embedded 4GLTE, an 8-inch high-resolution screen, a better phone pairing system, faster wireless charging, and more. Active safety features include available Surround Vision and second-generation Rear Camera Mirror. Rear cross traffic alert, safety alert seat, and lane change alert with blind spot monitoring are available on the Premium Luxury and Sport models. The interior boasts well-bolstered seats that balance comfort and sportiness with an available massage feature. And ambient lighting is an add-on if you want that lounge feel. With 38.5 inches of rear-seat room the XT4 is expected to lead rear roominess in its category. If you fold those rear seats down, you have 48.9 cubic feet of cargo volume. At the end of the day, the XT4s success will be in the numbers. And those numbers will start tallying later this year. This entry was posted in Automotive Female, Rely on the Auto Experts -- Motor Matters Reviews. Bookmark the permalink.